Kroll Ontrack offers both home users and businesses Ontrack EasyRecovery software. It is complete do-it-yourself (DIY) solution, to protect, recover and erase data. It protects your data stored on hard disk or SSD storage with proactive monitoring of your disk to prevent downtime and data loss. Ontrack EasyRecovery software is able to recover files that are damaged or deleted. As well as retrieve data from formatted or corrupt volumes – even from initialized disks. 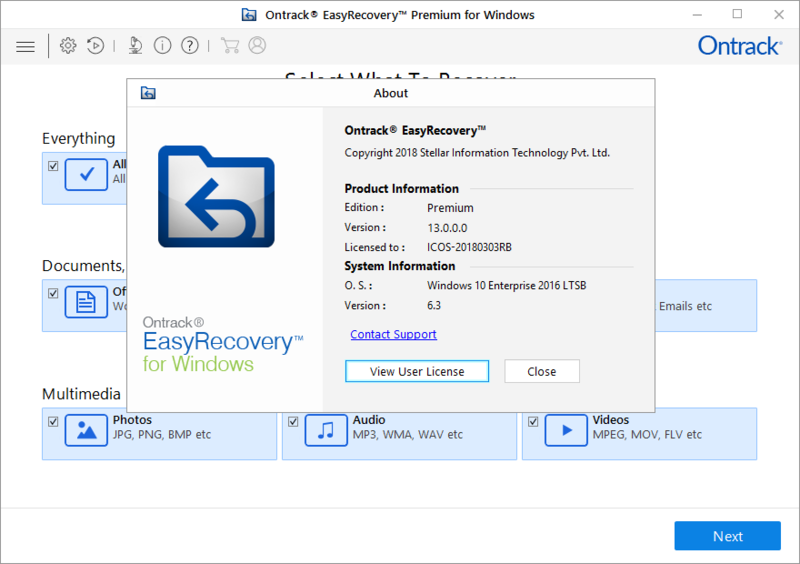 Ontrack EasyRecovery Professional gives small to medium businesses a do-it-yourself option to effectively recover lost or deleted files, folders, documents, photos, videos and other important data after severe corruption of the drive and other data loss events caused by accidental formatting and deletion. Recover lost or missing data from hard drives with RAID 0, 5 or 6 with Ontrack EasyRecovery Technician. Not only does this tool include all of the features of the Home and Professional versions, but it also has been designed to simplify the data recovery process for technicians.